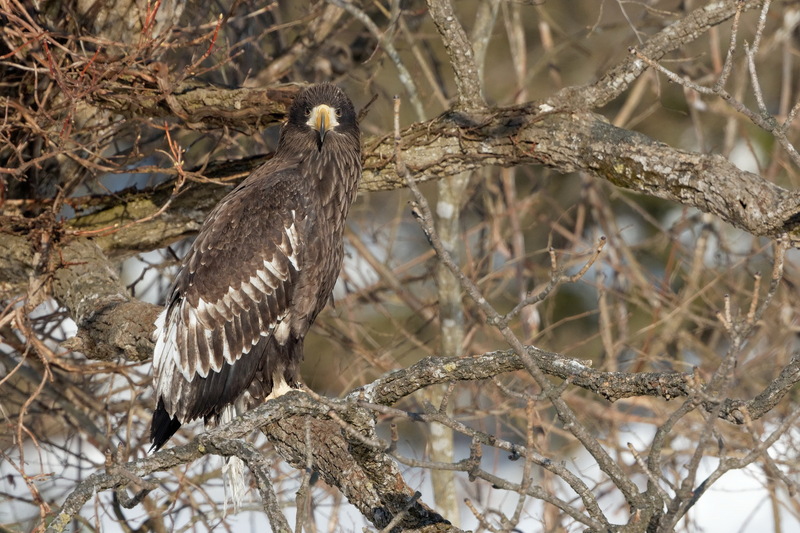 An immature Steller’s Sea Eagle from last weekend. 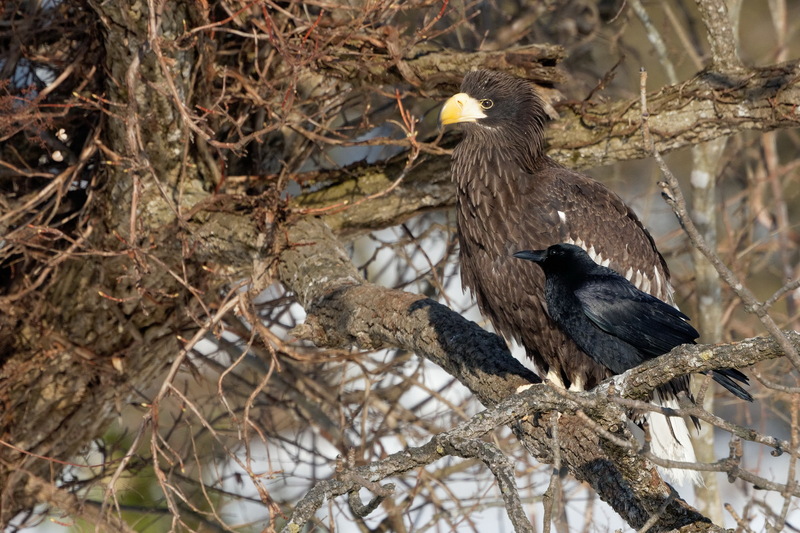 You can get an idea of the size of these eagles by comparing them to the crows which are always in attendance. Beautiful portraits, Stu. Nice to see a healthy, young eagle.